With the sleep of dreams comes nightmares. If I lose mine honour, I lose myself. All the world's a stage, and all the men and women merely players. They have their exits and their entrances, and one man in his time plays many parts, his acts being seven ages. If thou rememb'rest not the slightest folly into which love hast made thee run, though hast not loved. Like as the waves make towards the pebbl'd shore, so do our minutes hasten to their end. Distribution should undo excess, and each man have enough. I know myself know; and I feel within me a peace above all earthly dignities, a still and quiet conscience. The quality of mercy is not strain'd, it droppeth as the gentle rain from heaven upon the place beneath. It is twice blest: It blesseth him that gives and him that takes. Though it be honest, it is never good to bring bad news: give to a gracious message an host of tongues; but let ill tidings tell themselves when they be felt. O, beware, my lord, of jealousy!It is the green-eyed monster which doth mockThe meat it feeds on. By the pricking of my thumbs,Something wicked this way comes. Open, locks, Whoever knocks! The undiscover'd country from whose bourn no traveller returns, puzzles the will, and makes us rather bear those ills we have than fly to others that we know not of? There is no vice so simple but assumes some mark of virtue on his outward parts. There is a tide in the affairs of men which taken at the flood leads on to fortune; omitted, all the voyage of their life is bound in shallows and in miseries. The worst is notSo long as we can say, "This is the worst." I am constant as the northern star, of whose true fix'd and resting quality there is no fellow in the firmament. When he shall die, take him and cut him out in little stars, and he will make the face of heaven so fine, that all the world will be in love with night, and pay no worship to the garish sun. Vows were ever brokers to defiling. It easeth some, though none it ever cured, to think their dolour others have endured. Yet I do fear thy nature; it is too full o' the milk of human kindness. He must needs go that the devil drives. When he is best, he is a little worse than a man; and when he is worst, he is a little better than a beast. Though fortunes malice overthrow my state, my mind exceeds the compass of her wheel. I am not merry; but I do beguileThe thing I am, by seeming otherwise. Ambition, the soldier's virtue, rather makes choice of loss, than gain which darkens him. Was ever book containing such vile matter so fairly bound? O, that deceit should dwell in such a gorgeous palace! I will wear my heart upon my sleeveFor daws to peck at. Beauty is but a vain and doubtful good; A shining gloss that vadeth suddenly; A flower that dies when first it 'gins to bud; A brittle glass that's broken presently: A doubtful good, a gloss, a glass, a flower, Lost, vaded, broken, dead within the hour. The sense of death is most in apprehension; and the poor beetle, that we tread upon, in corporal sufferance feels a pang as great as when a giant dies. In the night, imagining some fear, how easy is a bush suppos'd a bear! Foolery... does walk about the orb like the sun; it shines everywhere. My salad days, when I was green in judgement, cold in blood. Oft expectations fails, and most oft there Where most it promises; and oft it hits Where hope is coldest, and despair most fits. Sorrow concealed, like an oven stopp'd, doth burn the heart to cinders where it is. Those that she makes fair she scarce makes honest; and those that she makes honest she makes very ill-favouredly. Full fathom five thy father lies; Of his bones are coral made; Those are pearls that were his eyes: Nothing of him that doth fade, But doth suffer a sea-change Into something rich and strange. How far your eyes may pierce, i cannot tell; striving to better, oft we mar what's well. Present mirth hath present laughter; what's to come is still unsure. Let me not live, after my flame lacks oil, to be the snuff of younger spirits. What seest thou elseIn the dark backward and abysm of time? Show me a mistress that is passing fair, what doth her beauty serve but as a note where I may read who pass'd that passing fair? If there were reason for these miseries, then into limits could I bind my woes. Trust not him that has once broken faith. O God, that man should put an enemy in their mouths to steal away their brains! There is a devilish mercy in the judge, if you'll implore it, that will free your life, but fetter you till death. You shall more command with years than with your weapons. Thou hast nor youth nor age, but, as it were, an after-dinner's sleep, dreaming on both. [Drink] provokes the desire, but it takes away the performance. Do as adversaries do in law, strive mightily, but eat and drink as friends. Poor and content is rich, and rich enough; but riches fineless is as poor as winter to him that ever that ever fears he shall be poor. The common curse of mankind,-folly and ignorance. O, woe is me,To have seen what I have seen, see what I see! Speak of me as I am; nothing extenuate, nor set down aught in malice: Then must you speak of one that loved not wisely but too well. I have sworn thee fair, and thought thee bright, Who art as black as hell, as dark as night. My ventures are not in one bottom trusted, nor to one place. Sweetest things turn sourest by their deeds; Lilies that fester smell far worse than weeds. Now cracks a noble heart. Good night sweet prince:And flights of angels sing thee to thy rest! O, my offence is rank, it smells to heaven;It hath the primal eldest curse upon 't, A brother's murder. But screw your courage to the sticking-place, and we'll not fail. There's no bottom, none, in my voluptuousness: Your wives, your daughters, your matrons and your maids, could not fill up the cistern of my lust. But to my mind, though I am native here and to the manner born, it is a custom more honour'd in breach than the observance. Look on beauty, and you shall see 'tis purchased by the weight. So full of artless jealousy is guilt,It spills itself in fearing to be spilt. I must be cruel, only to be kind:Thus bad begins, and worse remains behind. I understand a fury in your words,But not the words. How sharper than a serpent's tooth it isTo have a thankless child! My age is as a lusty winter, frosty, but kindly. 'Tis beauty that doth oft make women proud; but, God He knows, thy share thereof is small. O, that this too too solid flesh would melt, Thaw and resolve itself into a dew! Or that the Everlasting had not fix'd His cannon 'gainst self-slaughter! O God! God! How weary, stale, flat, and unprofitable Seem to me all the uses of this world! Purpose is but the slave to memory, of violent birth, but poor validity. Golden lads and girls all must, as chimney-sweepers come to dust. Men at some time are the masters of their fates: The fault, dear Brutus, is not in our stars, but in ourselves, that we are underlings. Age cannot wither her, nor custom staleHer infinite variety. O, she is rich in beauty, only poor that, when she dies, with beauty dies her store. For aught that I could ever read,Could ever hear by tale or history,The course of true love never did run smooth. 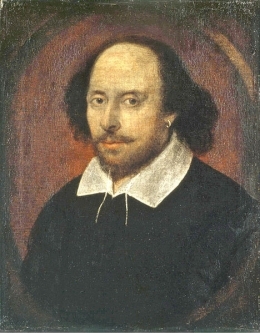 381 quotes by William Shakespeare.